In a previous post I mentioned some things to do around San Francisco and other California locales that are free. 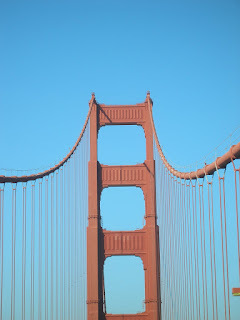 For this post I'm focusing exclusively on free things in San Francsico. Some of the museums in San Francisco that offer free admission on special days are the deYoung Museum, the Legion of Honor, and the San Francisco Museum of Modern Art (free on the first Tuesday); California Academy of Sciences (free on the third Wednesday); the Exploratorium (free on the first Wednesday); and the Asian Art Museum offers free admission on "Target First Free Sundays." This year SFMOMA turns 75, so in celebration of their anniversary is offering free admission the weekend of January 16 through Monday, January 18. DeYoung Musem offers free admission on the first Tuesday. 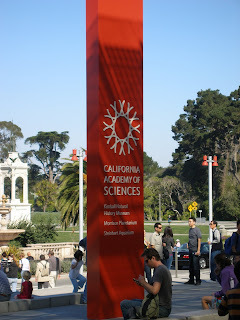 California Academy of Sciences is free on the third Wednesday. The Cartoon Art Museum offers "pay what you want" on the first Tuesday of the month. 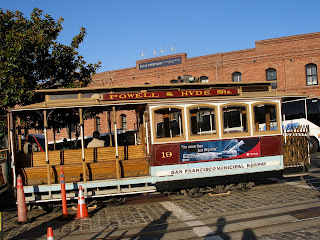 The San Francisco Railway Museum and the Cable Car Museum both offer free admission, as well as a look into the heritage of these public transportation options. 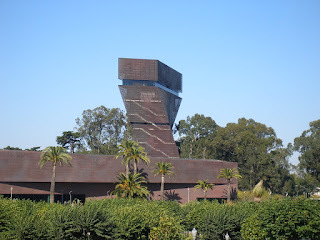 Also offering free admission is The Randall Museum, operated by the San Francisco Recreation and Park Department, and featuring a variety of changing and interactive exhibits, as well as permanent areas that include a live animal area, a wood shop, art and ceramics studios, a lapidary workshop, a 188-seat theater, a greenhouse, and gardens. The Wells Fargo History Museum offers both free admission and a free audio tour. The Pacific Heritage Museum, currently featuring the exhibit "The Art of Tea - China and Beyond" is another museum offering free admission. See behind the scenes of cable car operation at the Cable Car Museum. San Francisco is a beautiful city that offers many sights besides museums. While there may be extras that cost money, there are also many ways to enjoy these sights without paying any fees. The most obvious way to see the sights is to take a self-guided tour. There are free maps of San Francisco that you can pick up at the visitor's center or from newspaper boxes that line the streets, especially near Fisherman's Wharf and Pier 39. You can walk across the Golden Gate Bridge (it costs a toll to drive across.) 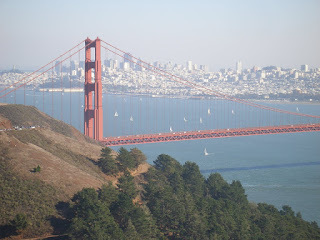 Once on the Marin side of the bridge, visit the Marin Headlands. They offer spectacular views and are free to visit. Back on the other side of the Bridge you can visit the Presidio and Fort Point for free. You can also take advantage of many free places to see and things to do throughout the Golden Gate National Recreation Area. View of San Francisco from the Marin Headlands. View of the Golden Gate Bridge from Fort Point. The San Francisco Maritime National Historical Park is free if you don't plan to board any of the vessels at the Hyde Street Pier, but is a reasonable $5.00 (valid for seven days) if you want to explore the vessels in more depth. As of October 2009, admission to the vessels is free on the first Sunday of the month. Also part of maritime history are the World War II submarine USS Pampanito and the World War II Liberty Ship S.S. Jeremiah O'Brien which are both located at Pier 45. These two vessels are not free to board, but you can view them for free from the pier. The Musee Mecanique is also located at Pier 45 and admission is free.